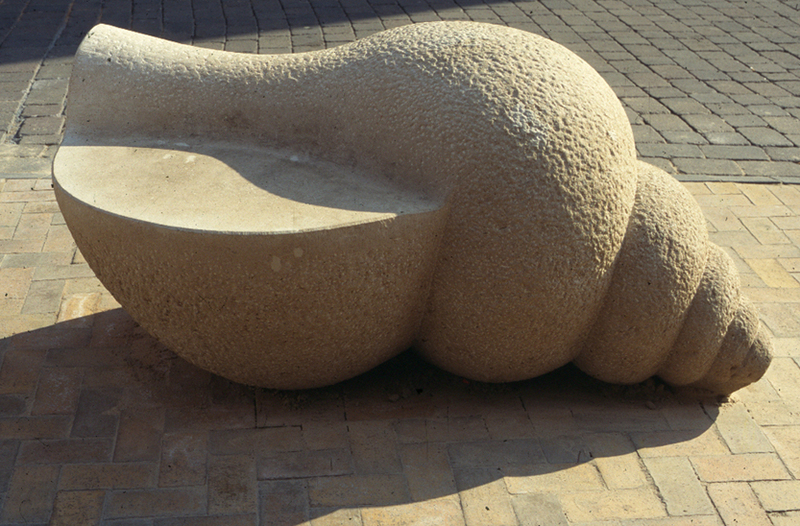 Three carved Portland stone shell forms incorporating flat portions to serve as seating. The forms are based on a Scallop (height 1300mm), a Nautilus ( length 1350mm) and Whelk (length1600mm). They are fixed as a group directly onto the paving in the pedestrianised street. The three shells were formed from selected quarried blocks at the stoneworks on Portland, Dorset. Judges for the ‘Street Design 1997’ competition - run by Local Government News, awarded Blackpool Borough Council a commendation in the pedestrian environment category for the Birely Street Scheme. In 2009 the street was refurbished with a new lighting/sculpture as part of the Brilliance Scheme. The Shell Seats have been relocated on the coastal path.